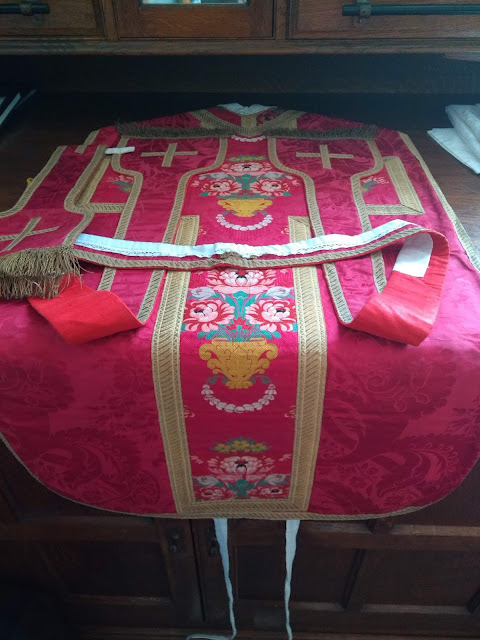 Back in March, NLM reported on the restoration of the Pauline chapel, noting that most of the original furnishings had been restored, and the original marble altar had been restored. 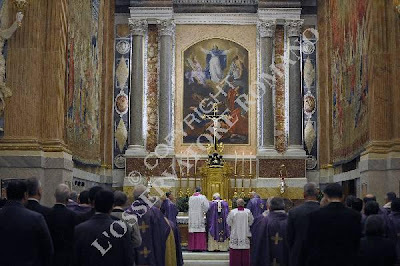 The Director of the Vatican Museums, Antonio Paolucci, pointed out that the altar had not been placed flush with the wall but a little away from it so that celebrations could be both "versus populum" and "ad orientem". 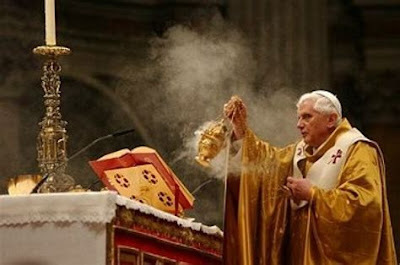 It is significant, then, that the Holy Father has given an example to the world of the appropriateness of celebrating the newer form of the rite ad orientem, at an altar where it is possible either to face East or face the people.